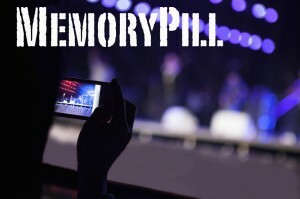 Jonah McLeod from Kilopass interviewed our Marco Jacobs for their MemoryPill newsletter. Kilopass licenses embedded non-volatile memory intellectual property. Videantis provides high power video processing engines that are targeting the emerging applications for video analytics and processing. Two that represent enormous market opportunity include mobile and automotive. In automotive, computer vision will be put to work reducing the 1.2 millions deaths, and many more injured, each year due to automotive accidents according to the World Health Organization “Global Status Report on Road Safety”. Computer vision in cars could reduce this number, significantly, allowing cars to brake automatically, or warn the driver when they’re unexpectedly leaving their lane, or falling asleep. The financial incentive is large also. The U.S. car insurance industry is expected to be a $198.5 billion in 2014 according to industry research firm IBISWorld. Worldwide the industry could be worth as much as $0.5 trillion. Automobiles driving themselves autonomously and safely will reduce liability insurance considerably. A high-end Mercedes has seven cameras providing the car with its own set of “eyes”. One is inside looking at the driver to ensure he’s not impaired and a possible cause of an accident. Stereo cameras look forward; x-ray and back-up camera keep an eye on the back of the car. Cameras on the side look at traffic signs, lanes and shoulder, pedestrians, and blind spots. In evaluating automotive use cases, at least two dozen applications have been identified for cameras in cars.